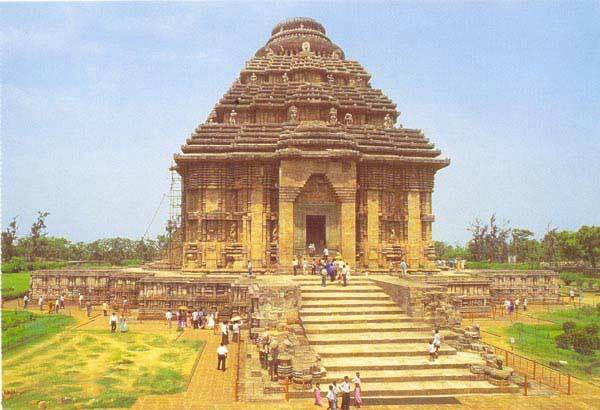 Konark Temple is one of the famous Sun temple of Odisha. Konark Sun Temple is a 13th century Sun Temple (also known as the Black Pagoda), at Konark, in Odisha. It was constructed from oxidized and weathered ferruginous sandstone by King Narasimhadeva I (1238-1250 CE) of the Eastern Ganga Dynasty. The temple is an example of Orissan architecture of Ganga dynasty . The temple is one of the most renowned temples in India and is a World Heritage Site. It is one of the Seven Wonders of India (as per the poll collected by NDTV). Legend has it that the temple was constructed by Samba, the son of Lord Krishna. 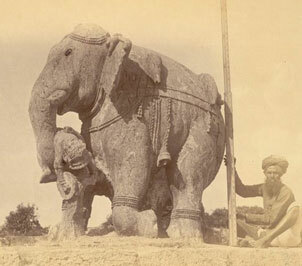 It is said that Samba was afflicted by leprosy, brought about by his father’s curse on him. After 12 years of penance, he was cured by Surya, the Sun God, in whose honour he built the magnificent Konark Sun Temple. Sun Temple Konark showcases how the Sun god roams about on his royal chariot. This temple I India is meant to be worshipped by the people from all the sects and from all walks of life, as the Sun God is indispensible in everyone’s life. Designed and constructed in the form of a pyramid and stretching above like a tower, Konark Sun Temple resembles the structural formation of the temples that can be found in Kalinga. As you take an elaborate view of the Sun Temple at Konark, you get to notice the Audience Hall and some parts of the Dancing as well as the Dining hall. And what you notice while entering the temple is that the face of the temple is in the East-West direction. Adding more to the information about the temple, the area of the Sun Temple of Konark is 857 ft by 540 ft.
Outside the Konark Sun Temple, you come across trees including rosewood, mahogany as well as eel. 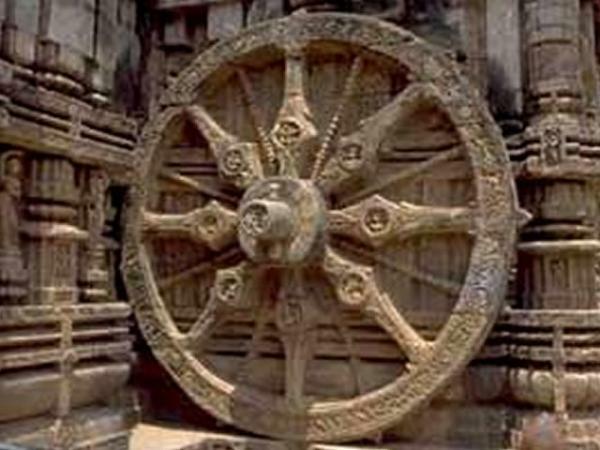 However, most of the part of the Konark temple came to ruins as a result of Kalaphad’s invasive attack on Odisha (Orissa). This general who had worked under the Sultan of Bengal named Sulaiman Khan Karrani, was a major cause of spoiling the numerous temples built in Odisha (Orissa). Eventually, even today, you come across distorted images as well as uprooted stones from the walls of the temple. 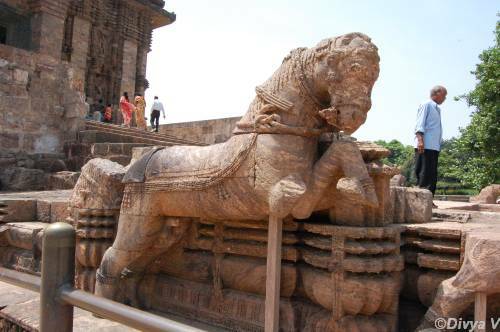 Multifarious images drawn over the walls of the Sun Temple at Konark pose animals such as snakes, giraffe, elephants etc. Mythological figures also cover the walls of the temple. Yes, you just can’t miss out the images of God Vishni, Lord Shiva as well as Goddess Shakti intricately crafted. You also come across women showcasing their beauty in the most seductive manner. Close to the Sun Temple of Konark, the remnants of Vaishnava Temple as well as Mahagayitri temple can also be spotted. Really, Konark temple is the Pride of Odisha. 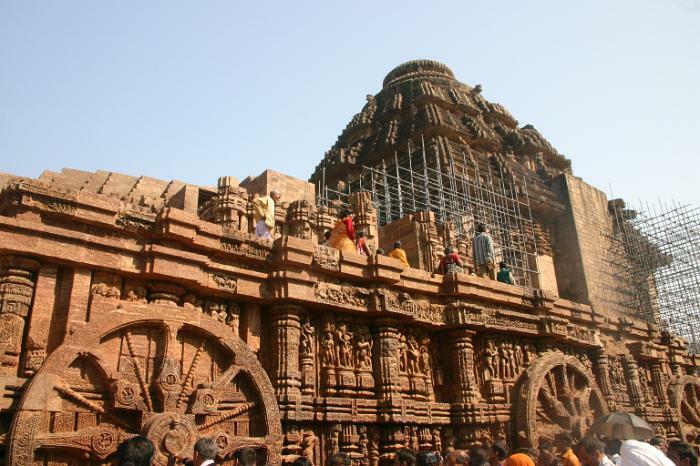 Give Responses for "Konark Sun Temple of Odisha"